Hold your child’s party here at Battlefield Falconry Centre where the children can handle a variety of birds and have photographs taken. 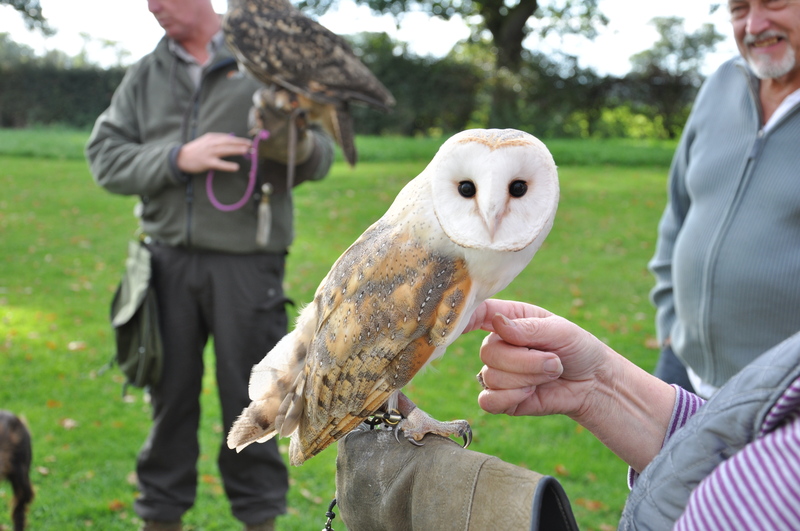 Meet a friendly Barn Owl and Maddie our little Indian Scops Owl, as well as a selection of our other Birds of Prey, for the children to get up close and personal with. The children will receive a full inter-active bird demonstration and for those who are brave enough can even have the chance to dissect an owl pellet!! Sparrows Cafe at Battlefield 1403 can provide the birthday food in the Visitor’s centre where the children can learn about the history of the famous Battlefield site. If you want we can even arrange to provide goodie bags and a personalised cake to mark the occasion. Prices start from £15.00 per child. A minimum of 10 children is required per party. Planning a corporate event for your hard working staff ? 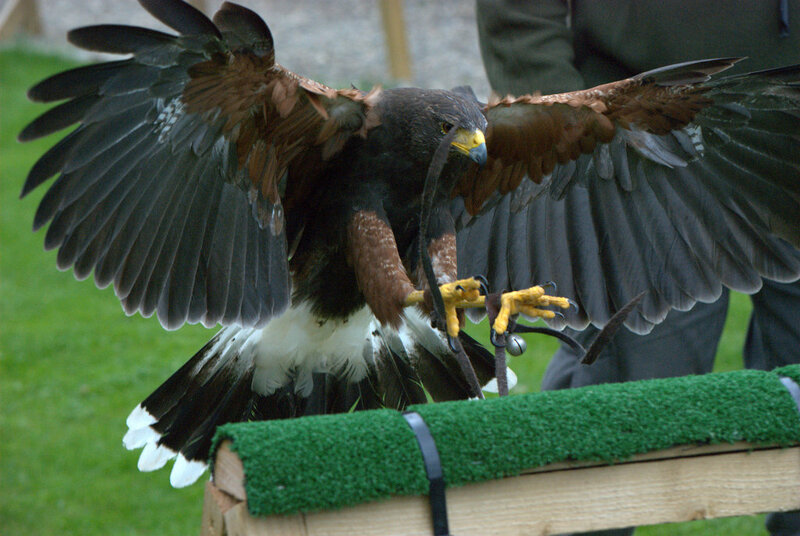 then why not bring a group to Battlefield Falconry Centre located here at the historical Battlefield site in Shrewsbury. 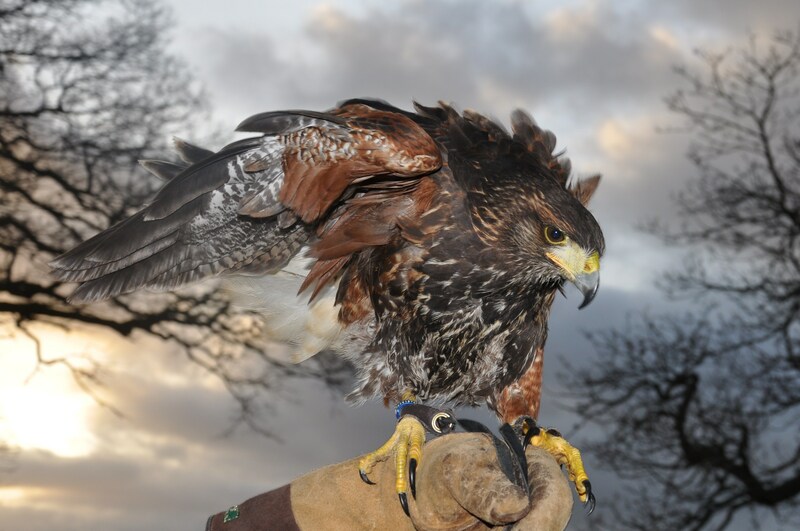 We can structure your event to suit your requirements however we will ensure there’ll be lots of opportunity to get involved with flying a Harris Hawk, handling Owls and Falcons. You can also combine your event with Battlefield 1403 for refreshments too. Whether an experienced photographer or a newcomer to the world of photography book a session to capture some wonderful shots of our magnificent birds of prey. All of our birds are very photogenic and will provide you with a number of exciting opportunities to create a perfect shot. We can arrange a variety of different photographic scenarios to enable you to get the best out of the session. Come along and put your photography skills to the test – you’ll certainly have a wonderful time. Struggling to go on holiday – we can provide a boarding service for birds of prey at a daily charge.